Like the double bass in the 1950s, the bassoon is an instrument often overlooked as a solo voice with the potential to push the boundaries in new music. In order to change that, bassoonist Dana Jessen has been endeavoring to develop an adventurous repertoire of new work for solo bassoon. On Carve, her debut release, she does that with a set of four pieces she commissioned from contemporary composers for solo bassoon and electronics. The four compositions, written in 2014 and 2015 and recorded in September, 2015 and May, 2016 at Jessen’s home institution of Oberlin Conservatory, are the products of a collaborative process. Jessen met with the composers and played some improvisations for them; these served as the kernels around which the compositions were constructed, each of which was shaped as much by her musical language and sensibility as by the composers’ own ideas. Working this way entailed a strategy of mutual interpretation that upends and in a way reverses the conventional relationship between the composer as originator and the performer as interpreter. On all four pieces, creatively employed electronics serve to transform, supplement or challenge the sound of the acoustic instrument. Paula Matthusen’s of an implacable subtraction is a melodic piece whose minor modality is tinted with melancholy; the electronics pick up and reinforce key points in the bassoon line, stretching and repeating them to make them a harmonic bed of lingering tones. In Points against Fields by Sam Pluta, Jessen’s extended technique and energetic playing lend the bassoon an otherworldly sound that complements the surrounding surf of electronic splashes, chirps and static. Peter V. Swendsen’s Fireflies in Winter casts fragments of bassoon melodies in the role of commentators on field recordings of the natural and urban environments. During one passage in which the bassoon is surrounded by the sounds of crickets and other nocturnal wildlife, one can almost hear the vast expanses of night sky reaching above. Cadenza and Degradations seems a contemporary improvised bassoon sonata, with an elastically-scaled virtual wind ensemble made up of composer/oboist Kyle Bruckmann’s multiply recorded oboe and bass oboe forming the backdrop for Jessen’s elegant solo lines. In between the compositions are brief solo interludes each of whose sounds derive from a gesture or technique relating to the pieces on either side. These interludes lend the CD the cohesive feeling of a suite of distinct but mutually supporting performances. A second factor that gives the release a notably holistic sense is Jessen’s own voice. Hers is an expressive presence with a warm tone and a refined vibrato, both of which preserve a humanistic heart in the midst of technological embellishment. It’s a finely calibrated balance, achieved as well by the composers’ sensitively crafted environments in which Jessen’s voice can resonate. 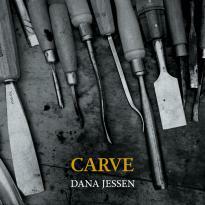 And in the end, it’s Jessen’s appealing musical personality that animates this outstanding collection of work. One of the most enduring legacies of 20th century art music is the use of timbre as a major element in musical organization. Whether through serialism’s principle of klangfarbenmelodie or Impressionism’s sound painting with orchestration, the blending and sorting of instrumental voices as a theme in itself took on a salience that continues to resonate in contemporary music. 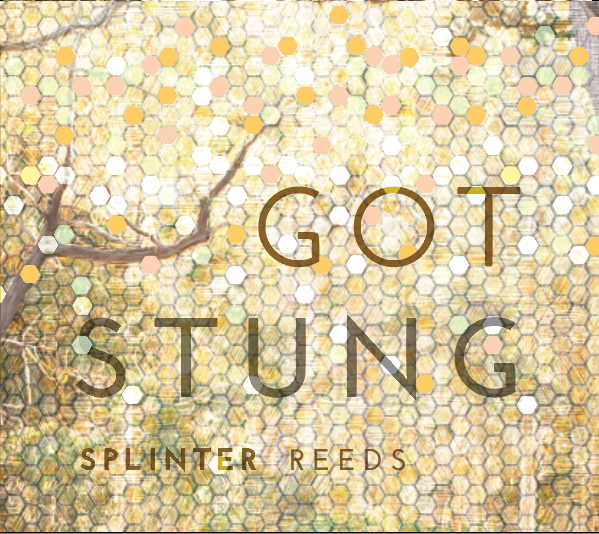 With this release of six new and recent works, Splinter Reeds, a quintet from the San Francisco Bay area, reveals the richness of color inherent in a small, all-reed ensemble. As a unit, the three-year-old group draws on its individual members’ extensive experience with contemporary art music both composed and improvised. Oboist/composer Kyle Bruckmann, who is well-represented on new music recordings, played experimental music in Chicago before joining the Bay Area new music community in 2003. In addition to working with small new music ensembles, clarinetist Bill Kalinkos has performed with the Philadelphia and Cleveland Orchestras as well as with the Oakland Symphony, where he was principle clarinetist. Saxophonist David Wegehaupt has premiered new works for saxophone and has played for or guested in several new music ensembles including the International Contemporary Ensemble and Ensemble Dal Niente. Jeff Anderle, the group’s bass clarinetist, has played with the Paul Dresher Electro/Acoustic Band as well as in the genre-blurring bass clarinet duo Sqwonk and the bass clarinet quartet Edmund Welles. Dana Jessen, who has played free jazz and contemporary improvised and experimental music here and in Europe, is doing for the bassoon what Bertram Turetzky did for the double bass in the 1950s and 1960s: Actively commissioning a repertoire for it in order to bring it into its own as an expansive and adventurous voice in contemporary music. The ensemble’s attunement to the expressive and structural value of instrumental color is apparent from the first track, the precisely played, eight-part suite Splinter by composer Marc Mellits. The work frequently distributes its lines across the ensemble in contiguous pieces, giving the impression of an elaborate mosaic each tile of which consists of an individual instrumental voice. It’s a timbral pointillism whose points of color are rhythmically interwoven into an overall textural continuity rather than set out in a succession of isolated fragments surrounded by silences. Ryan Brown’s Pinched, which was originally written for pizzicato string quartet and is here arranged for reed quintet, is a similarly pulse-based, pointillist piece. By contrast, the additive structures of Erik De Luca’s Songs and Interludes emphasize color in a different way, largely by having the individual instruments contribute their distinctive voices to increasingly complex, composite timbres. Bruckmann’s Mitigating Factors is a denser work exploring close-knit harmonic textures. Dominated by the earth-toned palettes of bassoon and bass clarinet, it is a dark, deliberately-paced composition containing a bestiary of unorthodox sounds for reeds—hisses, groans, growls and whooshes—within a framework of dissonant chords and tone clusters supplemented by electronic sounds. Ned McGowan’s Wood Burn has the plosive low reeds mimic a funk-rock bassline, while the closer, My Bike by Jordan Glenn, is a nostalgic, hymn-like piece that has the composer join the quintet on drums.